"For the enthusiast that wants to get the most out of their vehicle without sacrificing everyday drivability, we offer Carbon Fiber/Ceramic Z23 Evolution Sport Brake Pads. These pads resist fade up to much higher temperatures than OEM pads. A premium stainless steel hardware kit is included where applicable. 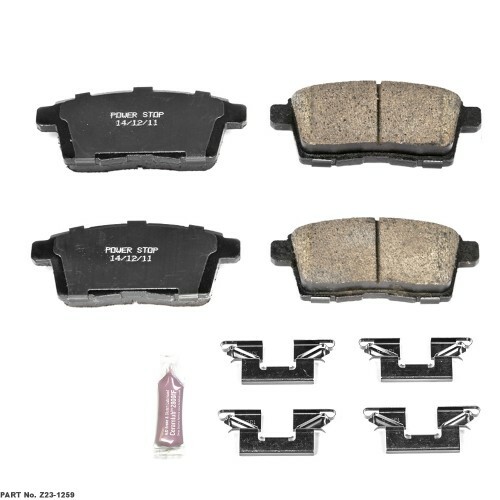 Ceramic brake lubricant is included in every brake pad set."